If you had asked me 5 years ago if I would EVER wear a fanny pack, then I would have laughed in your face immediately without hesitation…HOWEVER, I must say these seemingly touristy must-haves are making a strong comeback! Let it be said, when Gucci begins to include a canvas belt bag within their classic women’s lifestyle section, you know we are on the precipice of a fashion shift… Brace yourself! 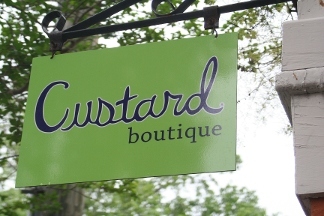 Here is my second look featured from Custard Boutique! All of these beautiful items & more are available at their Greenville, SC & Savannah, GA locations. Shop them NOW! This flowing top by Amour Vert is ultra-soft and perfect for pairing with your favorite jeans/leggings to grab coffee with the girls or head to your local hot yoga class. 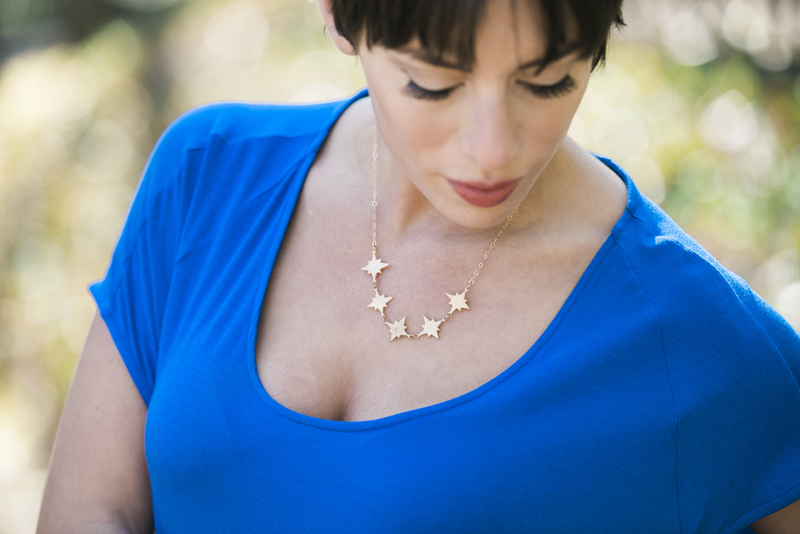 The adjustable-length star necklace lays beautifully to accent those lush collar bones over this scoop-neck tee. Don’t forget to add some arm candy with a circle cuff by Modern Bronze! Side note: While working with Bo at Custard styling my looks for the week, an older gentleman came into the store shopping for some jewelry for his wife for Valentine’s Day… He said the necklace he bought his wife for Christmas from Custard was such a success that he was back to hit another home run with the lady of the house by providing her with piece of jewelry on the most romantic holiday of the year! Talk about adorable… <3 This sweet husband actually purchased the exact same bracelet featured within this post for his beautiful wife in an alternate color! Bo & I absolutely LOVED helping this gentleman make Valentine’s Day extra special for his significant other… I know she loved it! 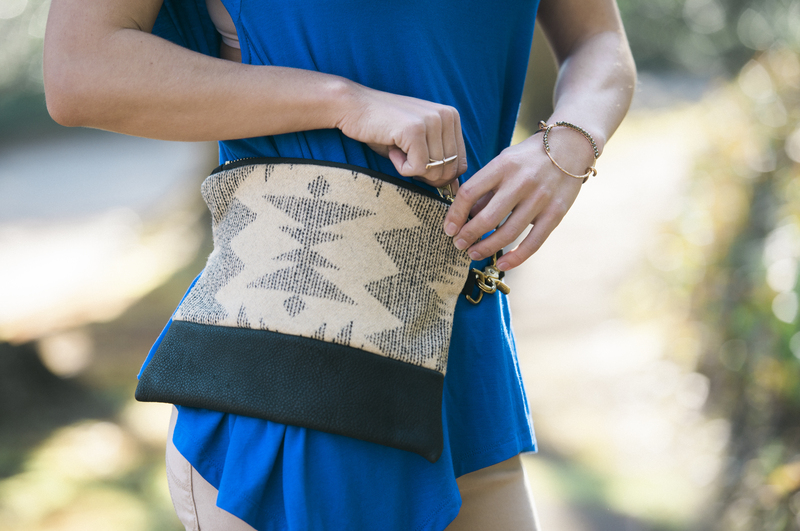 Worn around your waist or over your shoulder, the Vida bag transforms from a fanny pack to a clutch seamlessly. With the additional purchase of the adjustable crossbody strap, the Vida Bag can easily be converted into a versatile crossbody bag. Constructed with genuine Pendleton wool & leather on the exterior, this bag is lined with black canvas & embellished with their signature oversized brass zipper & hardware. This bag transitions from day to night perfectly & can be paired with just about anything within your Fall/Winter wardrobe! 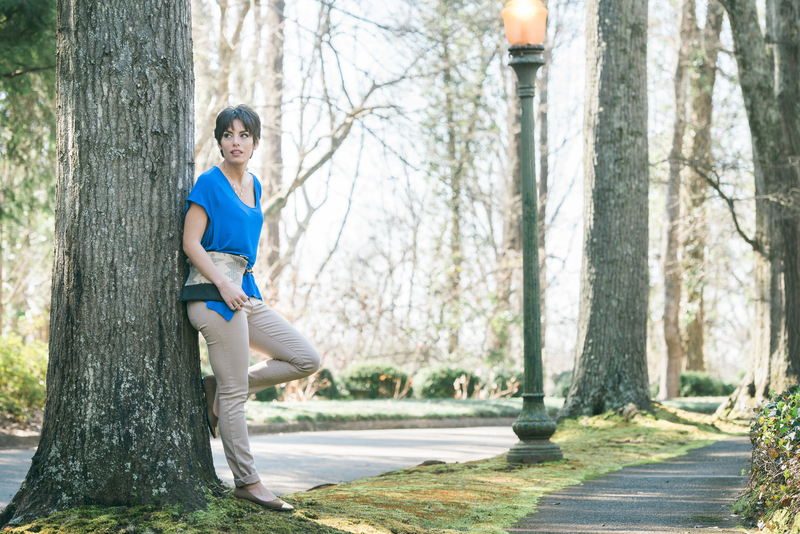 These neutral jeans by Level 99 are extremely as super comfortable and stretchy as well. 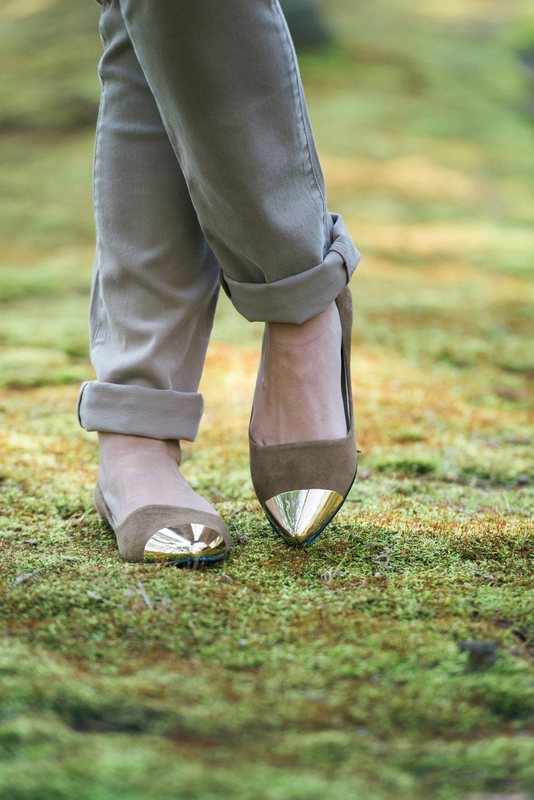 Pair this look with the suede gold-tip flats by All Black! So comfy & stylish… They are available in several different styles & colors as well! Have fun on all your adventures Steffy! I am the same way–I get up eayredvy regardless of if I am actually going somewhere or not. LOL I love your yellow blouse, that pretty polka dot skirt and I LOVE that collar necklace! Enjoy your weekend!